At Benchmark our comprehensive landscape maintenance services, progressive quoting systems and commitment to customer service makes it easy to manage your grounds care in an efficient and cost effective manner. Communication: Listening to the specific needs of clients and always responding in a timely fashion make it easier to ensure you are getting everything you need from your landscape maintenance provider. Commitment: A commitment to using the best practices, state of the art equipment and training of our colleagues ensures that only the best are tending to your property. Commercial Property Value: Respecting the clients’ needs as foremost and upholding a high level of professionalism ensures that we are adding to the commercial property value. Serving the Greater Capital Region, Western Communities, including Sidney to Langford. We provide landscaping services for both commercial and residential properties throughout Greater Victoria and the Western Communities. 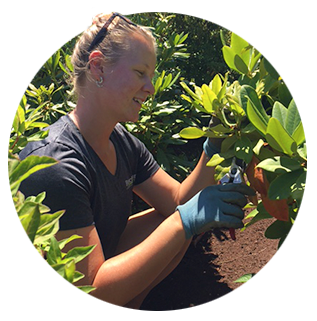 Benchmark Landscape Management Services in Victoria BC offers year-round comprehensive landscape maintenance services, progressive quoting systems and commitment to customer service making it easy to manage your grounds care in an efficient and cost effective manner.